ChampCash Review: Can You Really Make Money With This App? When I first heard of ChampCash, I wasn’t sure what to expect. At first I thought it was another make money online app that people claim will help you get rich when it will never happen. So, when I decided to write this ChampCash review, I began to dig a little deeper into the program and was amazed by what I found. Without further ado, let’s jump right into my ChampCash review. ChampCash is an online MLM phone app that gives users the ability to earn real cash via its referral program. This program can be used with any android phone and online requires a simple download and sign up in order to begin earning cash with it. 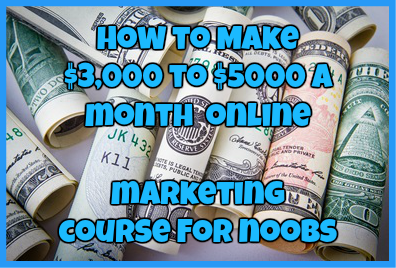 This program is targeted to those who are trying to look for ways to make money online without having to put too much effort into it. It is also for those who wish to earn money only by using their cell phones in a convenient way. As far as training goes, don’t expect to find it here. After scouring this app the only thing close to training was other users websites that claim the best way to promote this opportunity is using Craigslist to your advantage. Nowhere are you taught how to gain referrals for free, how to turn those referrals into converting members and how to teach your referrals to refer others so that you can earn money as well from the different tier levels. There are many different things that I don’t like about this programs. Let’s just take a look at a few of those things. Of all of the reviews that you will find about ChampCash online, all of them lie straight to your face about how much money you can make and how rich you can become. If you look at the facts and actually do the math, you will see first hand how this is not an opportunity that will make you a ton of cash. Even with a 7 tier earning system, you only earn a couple of cents per download, per referral download and even how many referrals you bring to the opportunity. Even at the most earning potential you are looking to earn only about $20 or even $30 a day. I don’t know about you but even at this rate I can’t pay my bills with only $200 a week at most. Now, while I am not really bothered by this because I have enough marketing experience to make money online out of virtually any opportunity out there, I do not like this fact about ChampCash for those who don’t have any experience. When you sign up the closest thing that you have to training is the advice to market the opportunity on Craigslist. It is important to note that marketing on Craigslist is not an easy thing to do, especially for those who have never done it before. Nowhere will you find training material on how to get referrals, how to convert those referrals to active members on your downline or even how to ensure that your downline promotes the opportunity to others as well so you can earn even more money with this opportunity. Right on sign up you are set up to fail. I own an iPhone 6 and even after the first 5 app downloads this program began eating away at the memory of my phone. This can be a hassle for those who have very little memory storage on their phone or for those who don’t want to download all of these apps in order to make money. If you look at some of the reviews and complaints out there on ChampCash, you will see that most of them are a mix of positive and negative. Just take a look at some of these complaints yourself below. In my honest opinion I don’t think ChampCash is a lucrative work at home opportunity for anybody. With the little amount of money that you can earn, no training available and the amount of money this program can take up on your phone, it is just not worth it in my opinion. There are better opportunities out there that aren’t so much of a hassle as ChampCash and that you can use to earn realistic income that will help you to pay all of your bills. Legit, But Not Lucrative Whatsoever! Have you tried ChampCash? If so, what did you think of it? Agree or disagree with my review? Let me know in the comments section below! 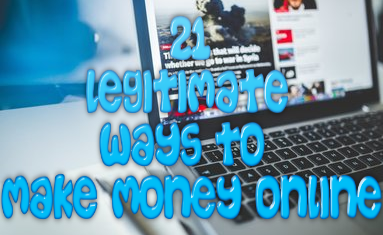 ← Links-news.com and Did-news.com Review: Two More Blantant News Reading Scams! Ali Express Wholesale Review: Another Viable Opportunity or Complete Money Waster? The Replace Your Job Scam: Don’t Fall For This Crap! Thank you for the insightful comment. It is great to hear from those who have used this app and have shared their experience! Thanks again!